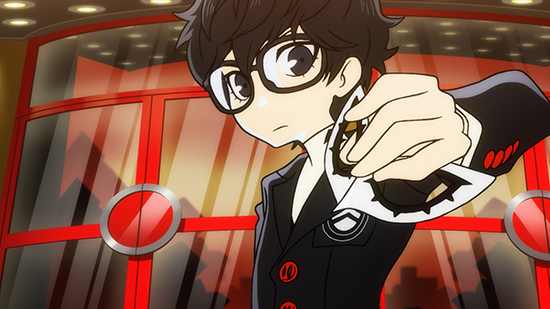 Persona Q2: New Cinema Labyrinth launches for the Nintendo 3DS on June 4, 2019! The highly-anticipated sequel to the first Persona entry to appear on Nintendo's portable platform, Persona Q: Shadow of the Labyrinth, Persona Q2: New Cinema Labyrinth features the return of the iconic casts of Persona 3 and Persona 4, along with the arrival of fan-favorite characters from Persona 3 Portable and Persona 5! Prepare to face a mysterious world of film in this challenging dungeon crawler. The Phantom Thieves are on another adventure as they find themselves trapped within a series of labyrinthine movies, each with its own unique twists and turns themed after various movie genres. Along the way, you'll encounter other like-minded heroes who possess the will and strength to help you in your journey. But who is this mysterious girl Hikari, and how will everyone escape from this cinematic entanglement that transcends time and space!? ATLUS is also excited to announce the Persona Q2: New Cinema Labyrinth "Showtime" Premium Edition (Price$69.99)! 5" Koromaru Plush - Now you too can have your very own plush of everyone's favorite Shiba from Persona 3! Art Book - Take in all the illustrations featured in the game with the included art book! Deck of Playing Cards - Enjoy playing your favorite card games in style with a full deck of playing cards emblazoned with characters featured in Persona Q2: New Cinema Labyrinth! Set of 4 Buttons - Show off your love for Persona's most iconic characters with some flair with this set of four buttons featuring the P3, P3P, P4, and P5 protagonists! Collectible Outer Box - You need to place to hold all this merchandise, don't you? Everything included in the "Showtime" Premium Edition can be housed in this collectible box! The Launch Edition for Persona Q2: New Cinema Labyrinth (price: $39.99) will also be available for all pre-orders and first-run copies of the game, while supplies last. This release will include a Nintendo 3DS copy of the game and a set of 4 buttons.